U.S. Only. Prices do NOT include shipping, duty and taxes. The One Vibe standard frame is the most rigid frame in the industry and yet is the easiest to assemble, break down, and folds up quickly. It is also one of the lightest at 111 pounds (50 kg). 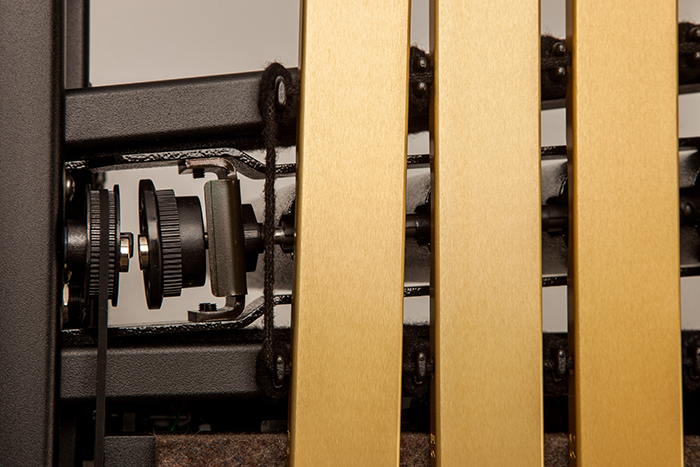 Through the One Vibe design process, we made many important improvements to the vibraphone. One of these ground breaking innovations is our patented Magnetic Drive System. It allows the performer to quickly install or remove the resonators without needing to hook up belts or cables, and the fans always stop in the open postion. 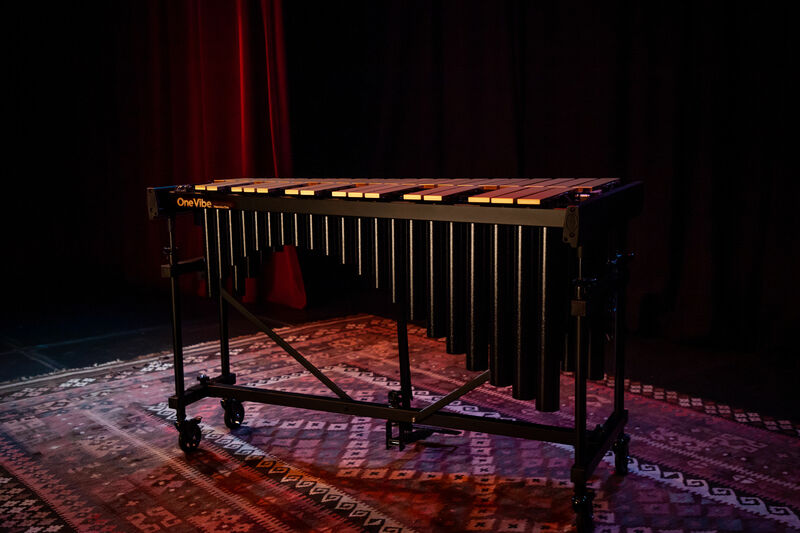 The MDS also comes standard on the Marimba One Wave model (Spring 2019). 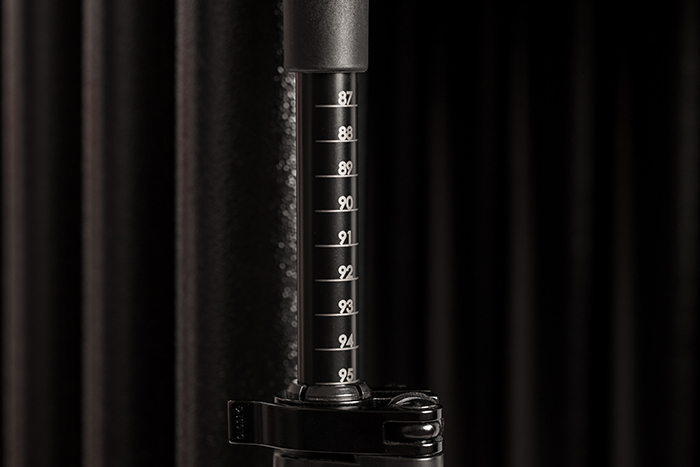 Our gas spring height adjustment system allows you to raise and lower the vibe smoothly and effortlessly. The laser-inscribed tape measure on the frame insures your preferred keyboard height every time. The Izzy Height-Adjustment is also included on the Marimba One Wave model (Spring 2019).